The Sceptre of Annúminas once belonged to the Lords of Andúnië. It had been brought to Middle-earth by Elendil, where it became the chief mark of the royalty of Arnor. 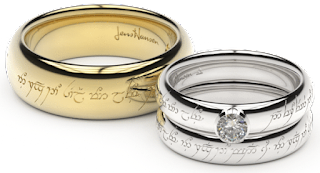 It was housed in Rivendell following the end of the North-kingdom, and was given to King Elssar (Aragorn) at his wedding.